Weights: Ranging from 203.46 gm/m2 (6 oz/yd2) to 474.74 gm/m2 (14 6 oz/yd2). 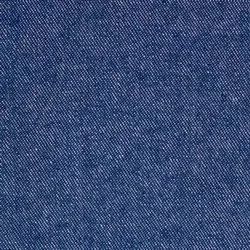 We are a well-known firm occupied with Manufacturing and Supplying a quality extent of Denim Twill Stripe Lycra Fabric in Delhi, India. We can easily customize these fabrics according to the particular necessities of our customers spread over the globe and are offered at industry primary costs. We are a renowned company involved in supplying and trading a premium range of Broken Twill Denim Fabric. Rainbow Denim Limited aims to maintain its position as a part of the unique Indian Denim manufacturing industry, by offering products that are distinctly differentiated and in line with fashion requirements of the leading Denim garment brands, the world over. We are the authorised dealer and stockist of denim fabric manufactured by KG Fabrics, Oswal, Rainbow, Bhaskar denim mills. Our range starts from Rs 95 to 300 per metre. Weight of the fabric starts from 4 oz/sq yard to 14.5 oz/sq yard. We have wide range of varieties including flat finish, dobby, peach, valvet, dana, silky, broken, twill, satin, ring. As a quality focused firm, we are engaged in offering a high quality range of Twill Denim Fabric.